Garden cottage has an atmosphere of total peace and tranquility being situated on a private drive, in an elevated position, overlooking pastureland and surrounded by mature woodland, 10 minutes walk from the main hall. It has been converted from 2 gardeners cottages to provide comfortable and spacious accommodation that can sleep 12, but is better suited to 8, in 6 bedrooms, 2 of which are ensuite twin rooms. The well equipped kitchen has an electric cooker, microwave oven, fridge, freezer and dish washer, with plenty of work and storage space and all crockery and kitchen utensils. The cottage is heated by storage heaters and this and all electricity are included in the price. Unfortunately the cottage does not have a washing machine. The dining room looks out over pastureland as does the separate sitting room that has comfy seating for 8 with a TV. On the ground floor there is an ensuite twin bedroom and also a downstairs toilet with wash hand basin. There is a pay phone located in the entrance hall as mobile reception is limited. The upstairs is separated into two, each with their own staircase. To the right there is a twin bedded room, a single room, a room with a single bed and bunks with a bathroom and separate shower room and toilet. The left of the Cottage has a twin bedded room, a shower room and toilet and an ensuite with a double and single bed. Bed linen and towels are provided and a cot and highchair are available if required. A dvd player, video recorder, cd player, alarm clock or hairdryer are also available upon request. There is parking for 3 cars at the cottage and a sloping grassed area to the front. An outside shed is available for bicycle storage and small charcoal bbq can also be supplied. 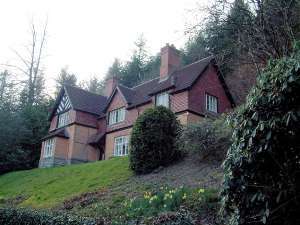 As the cottage is located in the tranquil grounds of Gregynog Hall visitors have access to the extensive gardens and woodland around. From Newtown: Entering Newtown on the A489 go straight over the roundabout (Theatre Hafren on left). Carry straight on through 3 sets of traffic lights. Turn left at the next roundabout (McDonalds on left) Go over the river bridge following signs for the hospital. Take the fifth turning on the right (opposite the Bell Hotel). Carry on up the hill out of Newtown for approx. 5 miles. The entrance to Gregynog drive is sign posted on the left just before the village of Tregynon. Head towards Newtown on the A483 for approx. 4 miles. Turn right towards Berriew (B4390). In Berriew village take the second turning on the left sign posted Bettws Cedewain 5 miles. In Bettws turn right (New Inn pub on left) sign posted Tregynon 2.5 miles. At the next T junction the entrance to Gregynog drive is sign posted straight opposite. 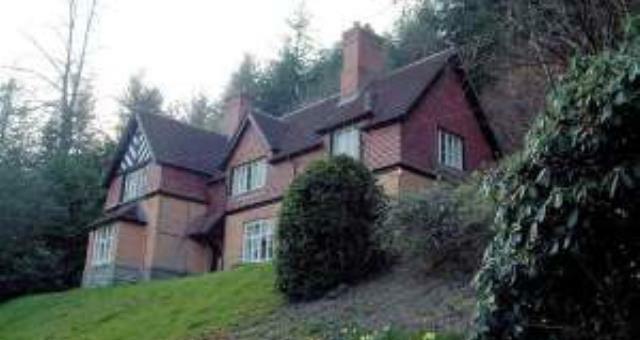 Newtown is the nearest railway station to Gregynog.